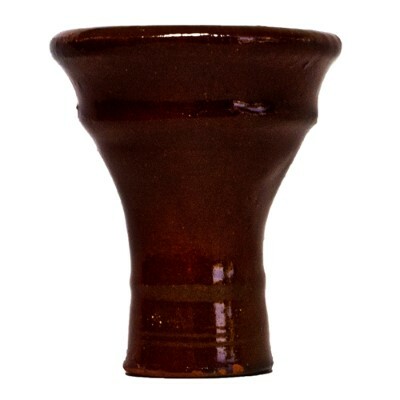 Our large egyptian clay hookah bowl is a beautiful authentic handmade hookah bowl that goes well with any hookah setup and looks best on egyptian style hookahs including Khalil Mamoon. What is Egyptian Clay Hookah Bowl? It is a traditional hand-made Egyptian clay hookah bowl that fits any Egyptian style hookah, including Khalil Mamoon Hookahs. It holds the capacity of around 15-20 grams of flavored hookah tobacco. Note: Size & shape of each hookah bowl may vary since this product is hand-made.